Photo: Courtesy of Live From New York! Even before the show kicked off a yearlong 40th-anniversary celebration, there was no shortage of documentation on Saturday Night Live’s cultural legacy. In addition to books like Saturday Night: A Backstage History, the recently updated Live From New York oral history, and at least half a dozen memoirs by former cast members, there have been surprisingly candid era-specific retrospectives produced by NBC; anniversary specials celebrating the show at 15, 25, and 40; and, as with all subject matter, the obligatory James Franco-directed documentary. 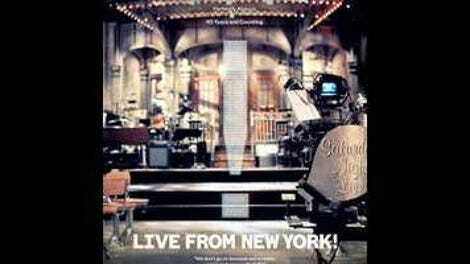 The sheer volume of material exploring the inner and outer workings of SNL (often re-using the same handful of titles) is enough to make Bao Nguyen’s Live From New York! sound inessential to even the most obsessive fans. So give Nguyen some credit upfront for making a documentary that only sometimes retreads familiar material. It has famous clips and talking-head interviews, to be sure, and the tacit approval of benevolent SNL tyrant (and documentary participant) Lorne Michaels. But Nguyen also seems interested in the montage-friendly possibilities that come with access to 40 years’ worth of history. The film opens with news footage from 1975 through present day cut together with the SNL counterparts of these various political and cultural flash points; it’s an obvious and potentially aggrandizing technique, but it also provides greater cultural context than the usual mix of Coneheads, Roxbury Guys, and pratfalls. In fact, much of Live From New York! eschews the show’s many catchphrase-friendly recurring characters, focusing instead (without quite stating so) on the show’s relationship to the time periods it traversed on its way from counter-cultural television to sometimes-routine institution. This attention to cultural context leads to areas past retrospectives have avoided, like another montage (albeit a quicker one) detailing the show’s sketchy history of race-bending impressions that carries a discomfort with far more weight than one more look at Dan Aykroyd firing up the Bass-O-Matic. Even when using more fun material, Nguyen finds new ways in, like some rare audition clips also glimpsed on the recent 40th-anniversary special and electric backstage footage of newer cast member Leslie Jones before and after delivering her notorious “number one slave draft pick” monologue on Weekend Update. These are behind-the-scenes moments that enhance the show’s official records. The alumni interviews, including face time with Jane Curtin, Laraine Newman, Chevy Chase, Garrett Morris, Julia Louis-Dreyfus, Dana Carvey, Will Ferrell, Tina Fey, Amy Poehler, and Seth Meyers, are a little more familiar, with the occasional glimmer of edge. Louis-Dreyfus talks a little about the “anti-golden age” that characterized her tenure on the show, and it’s a thrill to hear Chris Rock, a cast member during Sinead O’Connor’s infamous pope-picture kerfuffle, admit that in the grand scheme of things, O’Connor wasn’t really wrong to be protesting the Catholic Church. Anything juicy about the exit and re-entry of Michaels into the SNL fray, though, seems to have been left in the editing bay—or possibly left unasked. This might not seem so conspicuous if Live From New York! weren’t also a bit of an organizational mishmash once it moves beyond the initial introductions and those legendary early seasons. SNL neophytes (if they exist) might get the idea, from watching this movie, that the show primarily functions as a forum for politically charged comedy—something that, for better or worse, hasn’t really been true for six or seven years (and wasn’t particularly true for patches of the ’80s or ’90s, either). Of course, a single documentary can’t cover everything, but this one’s slim but entertaining 80 minutes suggests that Nguyen erred on the side of brevity. In the competitive world of Saturday Night Live chronicles, it’s strange that a theatrically released feature covering four decades of history wouldn’t feel the need to extend beyond the running time of a single episode.